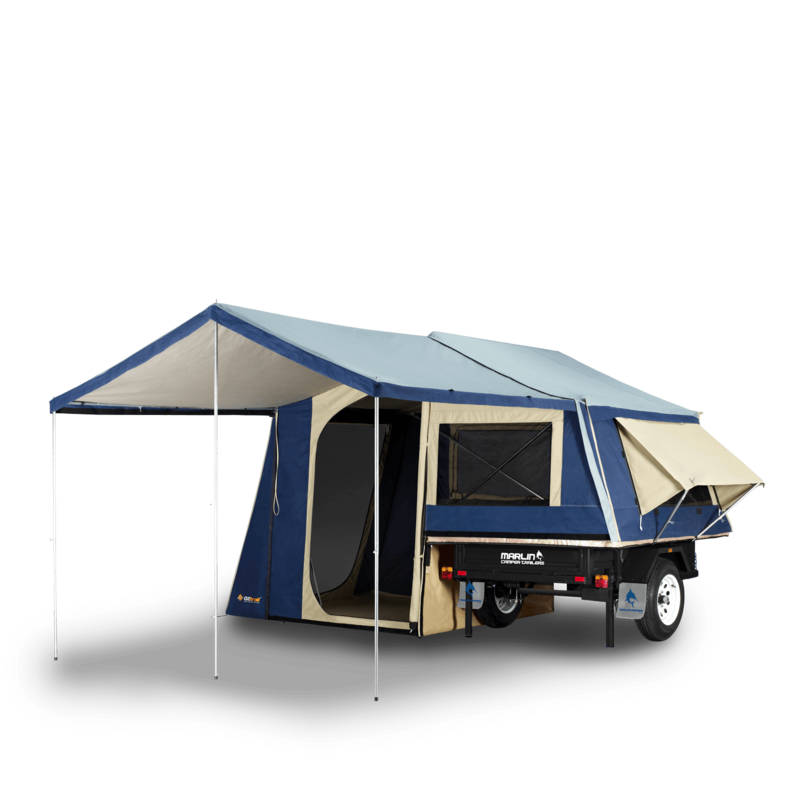 With more room inside, the Marlin Cruiser XL is the ultimate in lightweight camper trailers. The extra space is ideal for the family pet, additional luggage space or camping furniture on your longer touring holidays. The Marlin Cruiser Xl can be set up by a single person in less than a minute- which means less time setting up and more time for you to sit back and enjoy the surroundings. Practically any car on the road can tow this lightweight camper with ease. The heavy- duty, semi-off road trailer is sturdy and durable, but still weighs in at just 300kg. 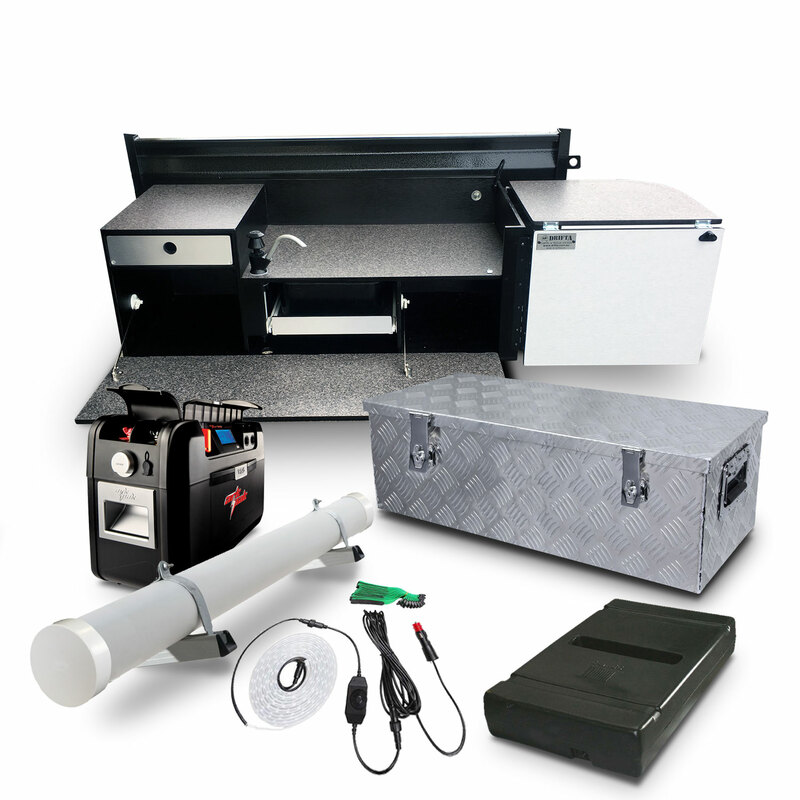 Plenty of storage space in the trailer leaves more spare room in your car, or more free space for your gear. The Marlin Cruiser XL’s low towing profile means you don’t lose any visibility from your car, or drain further dollars from your fuel bill. The comfy Queen bed (including mattress) gets you sleeping up off the floor and ensures a good nights’ rest, while the extra space means you don’t feel cramped or crowded inside. If you’ve always loved camping but setting up a tent has lost it’s appeal, then the Marlin Cruiser XL is for you. 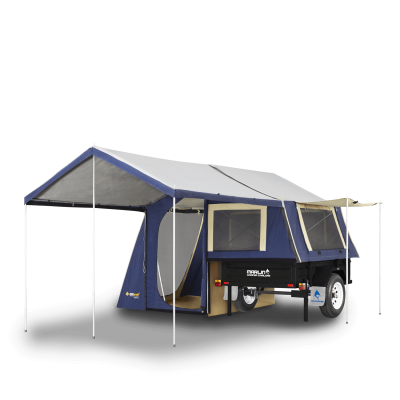 Our camper trailers are made using heavy duty, water- proofed canvas, and the roof has a silver laminate to reflect the sun and keep your camper cool and comfortable in all seasons. 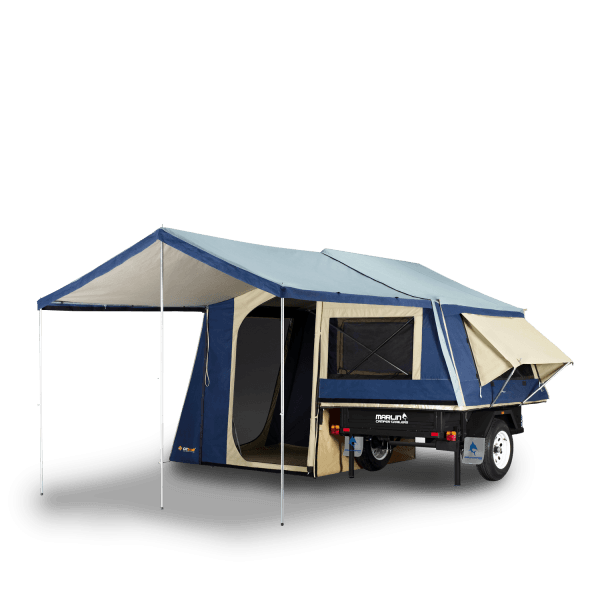 This compact camper is fully featured with important upgrades like the Insulcell insulated roof to make life outdoors even better! Easy to tow and the quick one-person set up means you have more time to relax. Call today for more info and see just how easy these units are to set up! 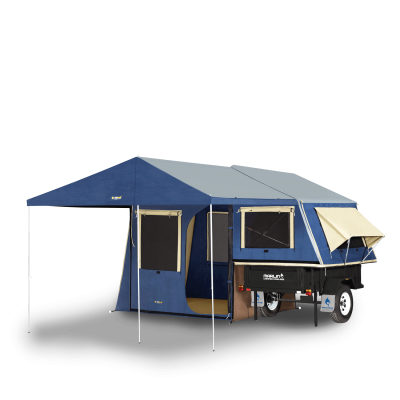 The compact camper that's fully featured with important upgrades like the Insulcell insulated roof to make life outdoor even better! Easy to tow and quick one-person set up so you'll have more time to relax. Upgrade to a hinged camper which incorporates extra heavy duty hinges for smooth and safe use of gas struts to lift the camper trailer bed-base above the trailer. 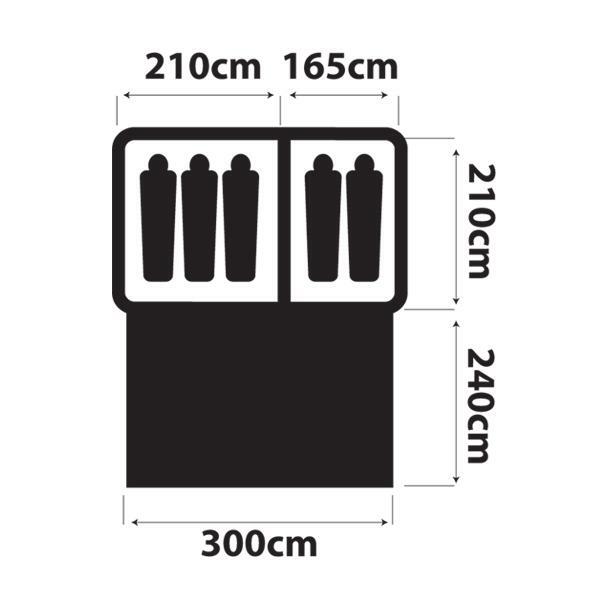 These hinges are opposed for maximum strength, but allow for easy removal of the camper tent so that the trailer can be used separately. These hinges are not light weight piano style hinges, and are built in at the time the trailer is engineered, not installed afterwards.